@rastakilla how do you do that? @Vans123 great mod, Vans I have a probelm with your Centenario, P1, and Koenigsegg One mod. 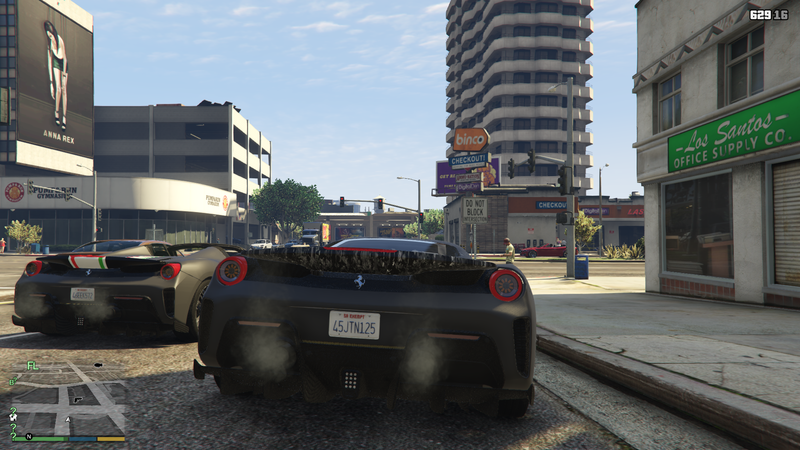 All of the mods that I mentioned doesn't work with your dlc.rpf. Everytime I add it in the game the trainer just give me three strling gts with invalid models and the model won't respawn, is there any way to fix it? @le__AK can you make the manual spoiler go up without turning the light on? @Gta5KoRn No big deal, sorry for bothering you. <bonnetCameraName>VEHICLE_BONNET_CAMERA_NEAR</bonnetCameraName> to VEHICLE_BONNET_CAMERA_MID_NEAR but it's still not working. @Gta5KoRn hey man, great mod. I have a question about car mods in general that I hope you can answer. I don't know if you can see it but the rear light have a little bit of crack in it, is there any way to fix it? @Asyr0n I've tested and it is fixed. Thank you for fixing it. Also, the black carbon texture have a little bit of green on it, just like Alex9581 sadi, but since the hardtop version already have a black carbon, can I use that to replace the spyder version?